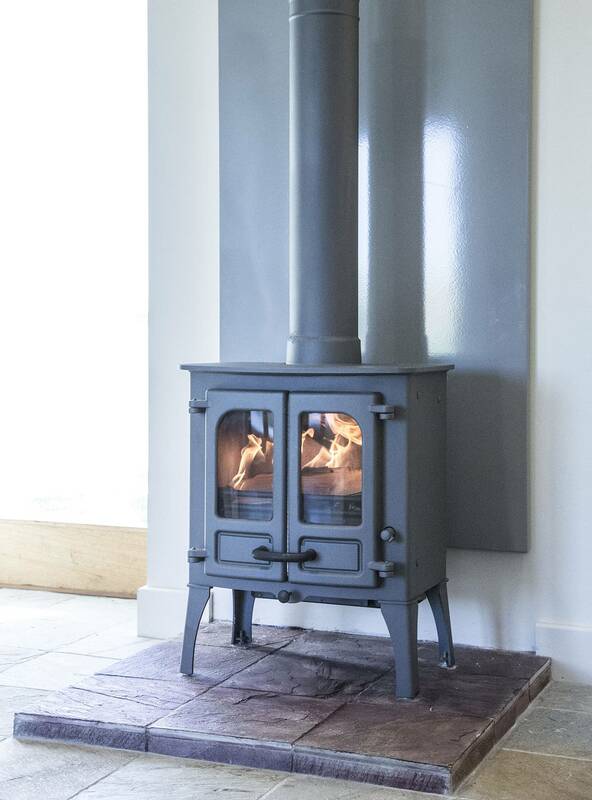 Vlaze wall mounted heat shilds and inset stove surrounds are designed to be placed behind the stove. 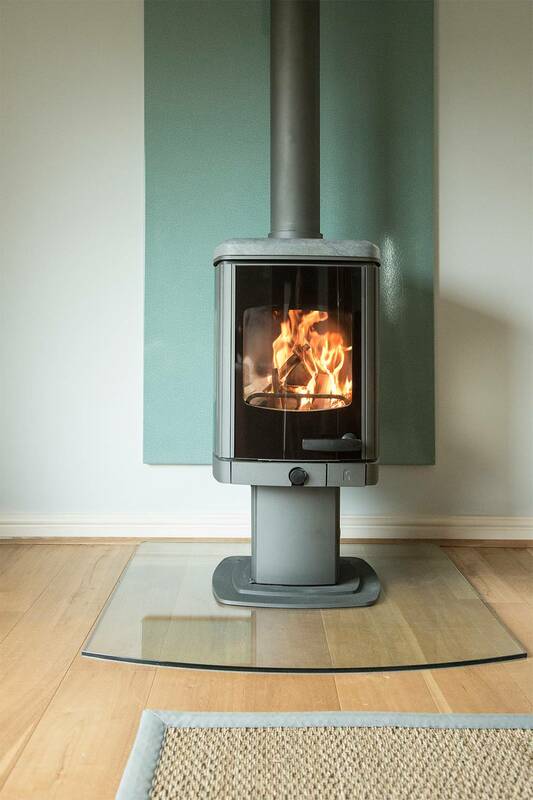 When installed the shield reduces the stoves distance to a combustible material to 100mm. 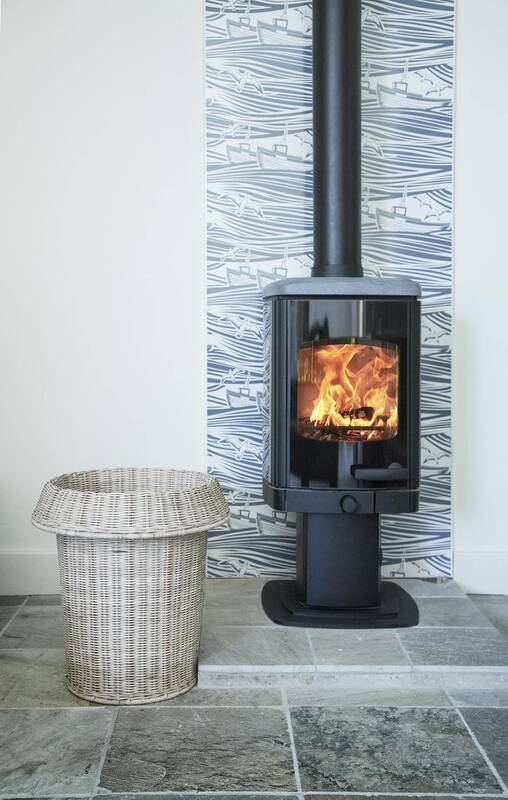 The vitreous enamel surface and convection system boast excellent thermal properties and does not crack, permanently distort or discolour when exposed to the heat of the stove. 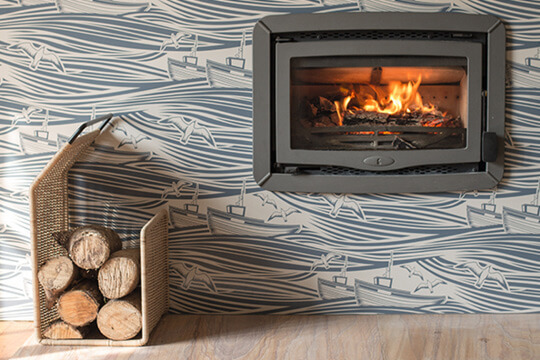 The shields feature a dual skin and are quick and easy to install with a rail mounted system. 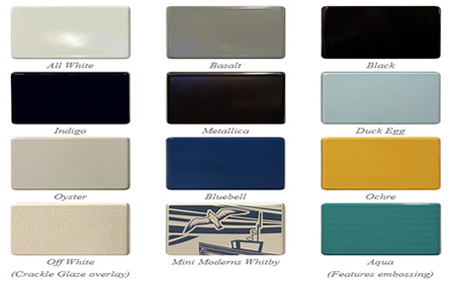 They are available in 2 sizes: 800 x 1200mm and 800 x 1800mm and 3 standard colours Black, White and Grey. Bespoke patterns and sizes are also available on request.